My Boyfriend Hates Makeup: Jindie Nails: Candy Land - Neon Glitter Goodness! Should I even keep typing or photo? 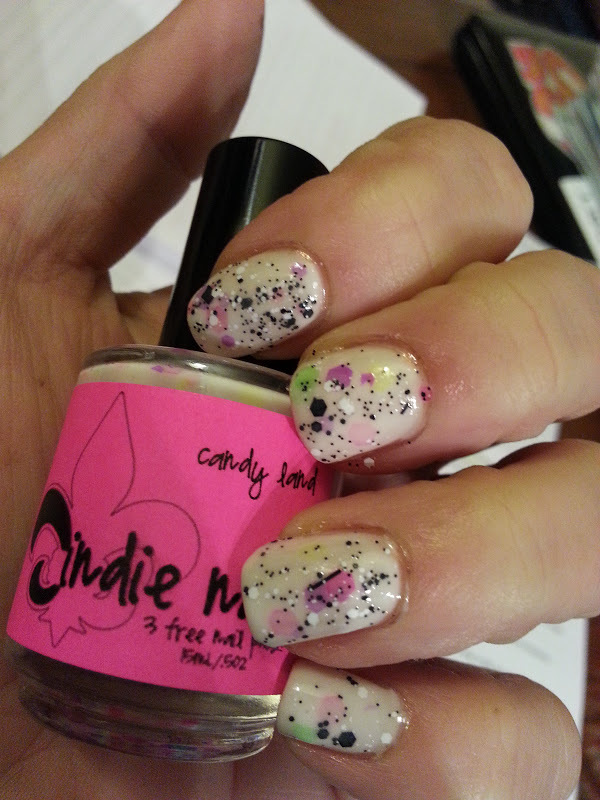 This is Candy Land from Jindie Nails! As if it needed an introduction! I was late to the party, but Jindie is an awesome indie maker! I was gifted a mini Oh, U Fancy and started stalking the website. I saw Candy Land in all it's neon hex glory and pre-saled it. Yes, you read it here. 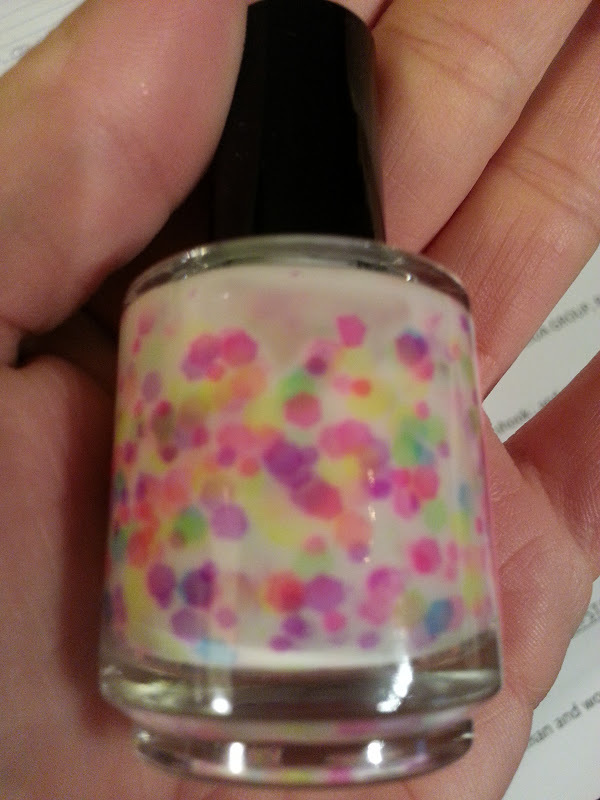 I pre-sale purchased a polish!! But loooook at this, it was so worth it. I used a coat of Zoya Gaia to give it a base, but it is so unnecessary. I have not encountered a white based glitter with so much opacity! 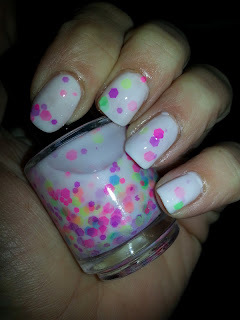 With a couple other white based glitters I have, they need either 4,194 coats or a totally covered basecoat of white. This doesn't! 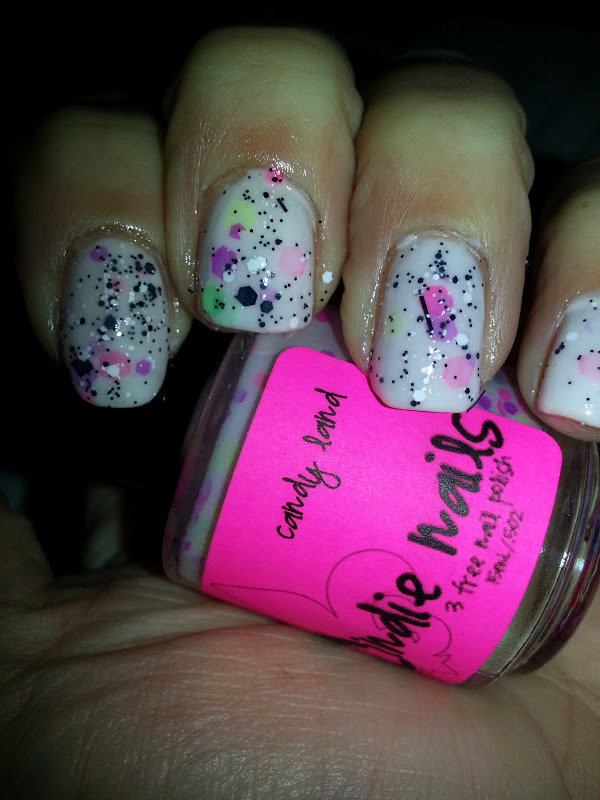 This polish could totally stand on it's own. I used two coats of Candy Land and topped with Seche. 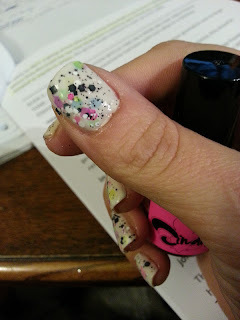 I've read a couple other reviews and like some of the others, I did place the glitters once on the nail, but there was no fishing required to find them. 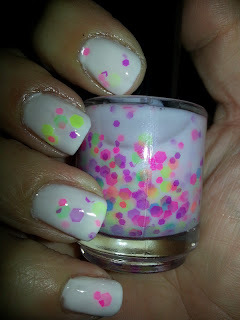 There are small and medium hexes in neon pink, yellow, green, blue, and purple in a white base. 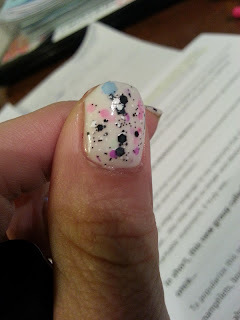 If there is anything I like better than a white based glitter polish, it is black and white glitter. I added a single coat of Lynderella Connect The Dots and I've been staring at my nails for 48 hours now. 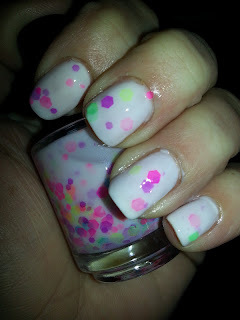 They look like abstract splatter art! I absolutely love the result! I hope you love this as much as I do. 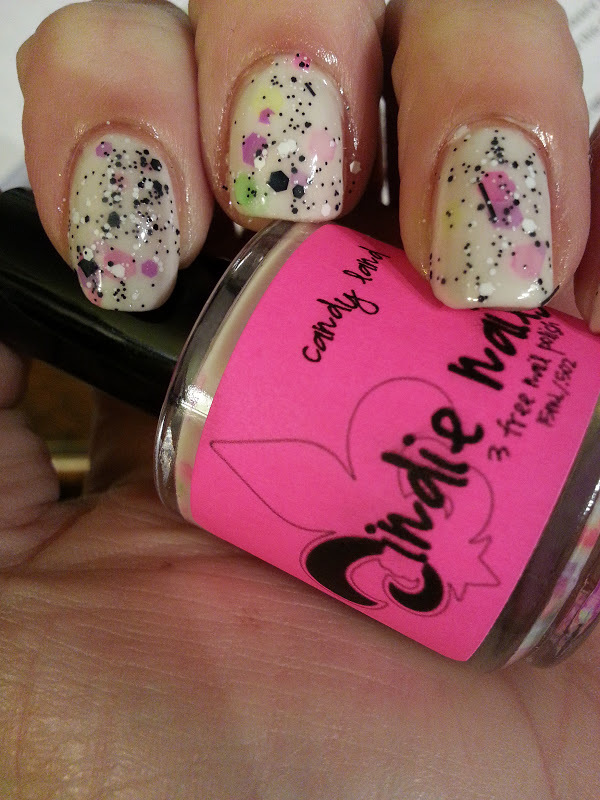 You can find Jindie Nails in her etsy shop HERE! Awesome color combo there. LOVE it!